These sportscar rivals will take their must-win mentality to La Sarthe in June. The day-long endurance classic at Circuit De La Sarthe will once again feature a field of globetrotting competitors in 2018 with seven IMSA WeatherTech Sportscar machines jumping ship for the June race. As it stands, the grid will be stacked with international crews and drivers in each category. Alongside the dual-wielding Prototype class, there will be four teams from IMSA's GTLM that will drive for the win this summer including Chip Ganassi Racing, Porsche, Corvette Racing, and Keating Motorsport. This mixed field touts numerous Le Mans honors throughout with Chip Ganassi Racing taking the win most recently in 2016. There, the team's No. 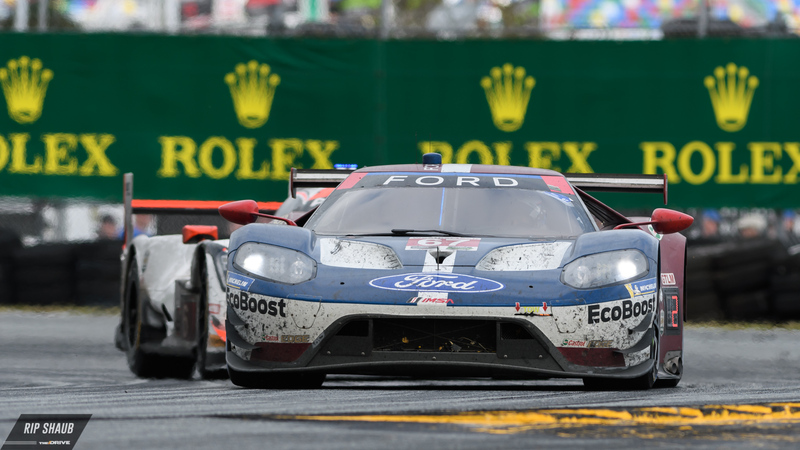 68 Ford GT piloted by Joey Hand, Dirk Mueller, and Sebastien Bourdais was victorious and marked a celebration for the 50th anniversary of Ford's inaugural Le Mans success. That same lineup will return alongside the No. 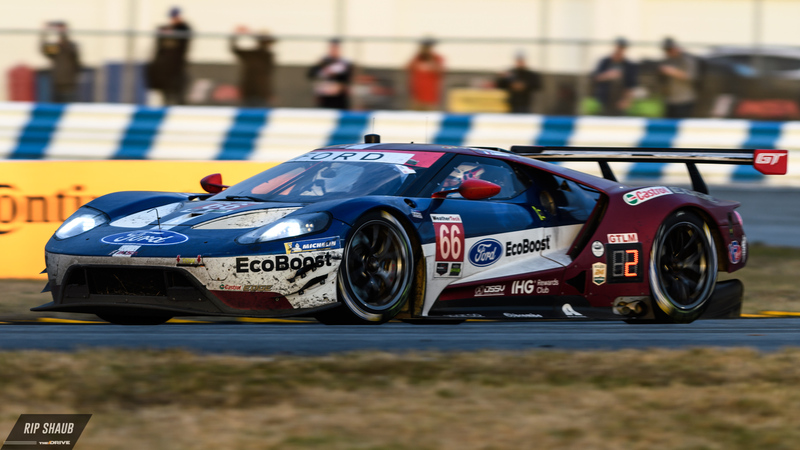 69 car of Ryan Briscoe, Richard Westbrook, and Scott Dixon who recently took home a Rolex Daytona for their win at the Daytona 24 in January. "Le Mans, just like the Rolex 24, is one of those events where it doesn't matter how many times you've gone there, you still get butterflies in your stomach when you drive through the gate," Hand said. "We have good memories there from 2016, but we're looking ahead. The view from that podium is like nothing else and we'll do all we can to get there again." Corvette Racing will turn up in France looking for its ninth win at the 24 hours. There, it will field the dynamic tandem of the No. 63 and No. 64 Chevrolet Corvette C7.R racers. The likes of Le Mans-veteran Jan Magnussen will lead the outfit in search of redemption for its final-hour loss at last year's event. Additionally, Porsche will be there in full-force with its largest GT attack at Le Mans to date. In total, the Stuttgart manufacturer will have 11 cars entered, four of which will compete in GTE-Pro with the other seven customer cars in GTE-Am. Two of its top-level competitors, the No. 911 and No. 912 Porsche RSRs, will make the transition from IMSA competition to drive at Le Mans and wear No. 92 and No. 93 respectively. Keating Motorsports will round out the seven-car IMSA/WEC effort in a Ferrari 488 GTE. Team owner Ben Keating, winner of the 2017 Bob Akin Award, was given an automatic invitation to the historic race and will team up with endurance stalwart and Maranello-favored Risi Competizione. This will be Keating's fourth Le Mans appearance having formerly run in the LMP2 category. He will drive alongside familiar IMSA co-pilot Jeroen Bleekemolen as well as a third driver that is yet to be announced. Keating currently pilots the No. 33 Riley Motorsports Mercedes-AMG GT3 in IMSA's GT Daytona category. The mecca for Corvette fans around the world will feature an uninterrupted race feed.